Some may be excited and others not impressed, but the return of Nokia in the market of smartphones is a fact. 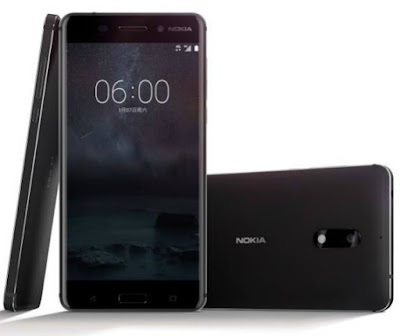 The comeback was on the Nokia 6, which is released by HMD Global. The appearance and characteristics of the smartphone, where opinions differ, it certainly did not like at all the fact that the release of Nokia 6 confined to China. Sales start today and the Chinese are able to get their hands for $ 250. The HMD had explained that he chose the Chinese market and has a huge number of smartphones users (593 million. Expected in 2017). But it is possible that mobile not only available for the China market, but is preparing an international edition. This follows from the Bluetooth certification took model codenamed TA-1003, which is included with the TA-1000 (which is the original). It is considered that this may be the issue for the global market, which can be displayed in MWC 2017 in Barcelona. The Nokia 6 may not be the most powerful devices at this time, but many would like to see its release outside China. It comes with 5.5 inch screen 2.5D resolution 1080 × 1920 (FHD) and protection of Gorilla Glass. Time Snapdragon processor 430 with octa-core CPU and Adreno 505 GPU. It has 4GB of RAM and 64GB built-in memory. The camera on the back is 16 Megapixel with lens aperture f / 2.0 and PDAF laser auto focus. The front camera is 8 Megapixels with f / 2.0 aperture. The battery is 3000mAh with Quick Charge 3.0. Dear Admin thanks for putting up such a outstanding and passionate information with us through this article. Your research and collection of information is really exceptional. The article covers full of great knowledge and well authored. Valuable sharing!